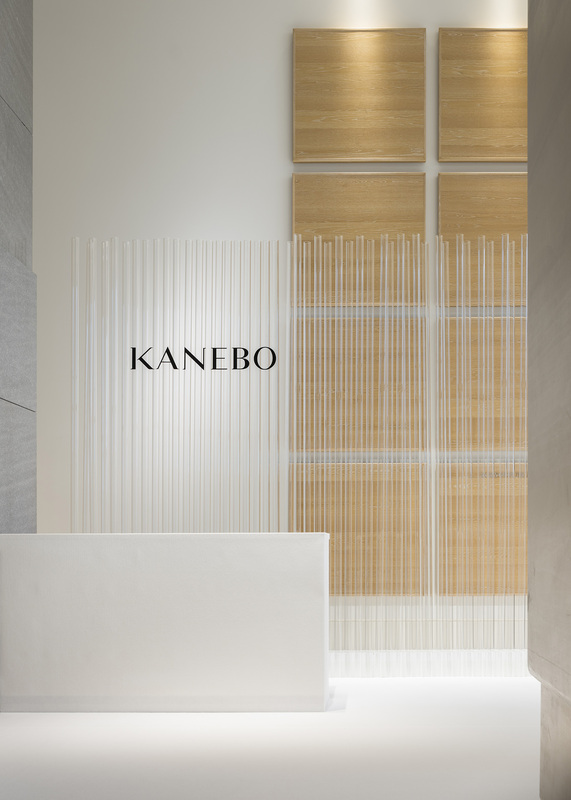 Event space for new product launch of Japanese cosmetic brand Kanebo in Andaz Hotel, Tokyo. 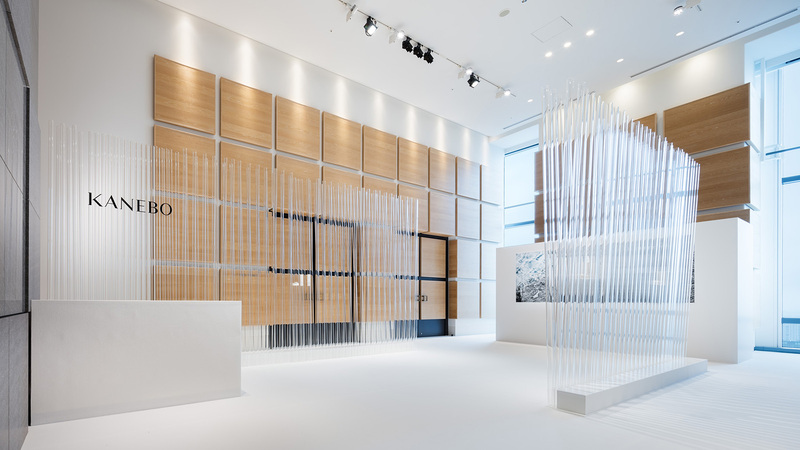 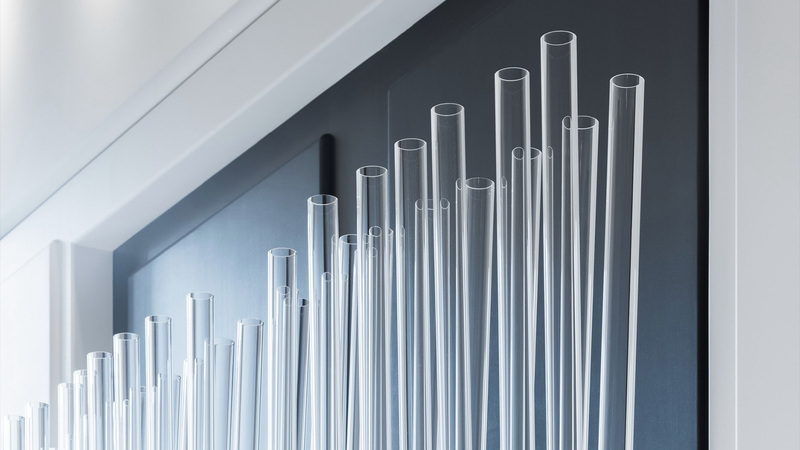 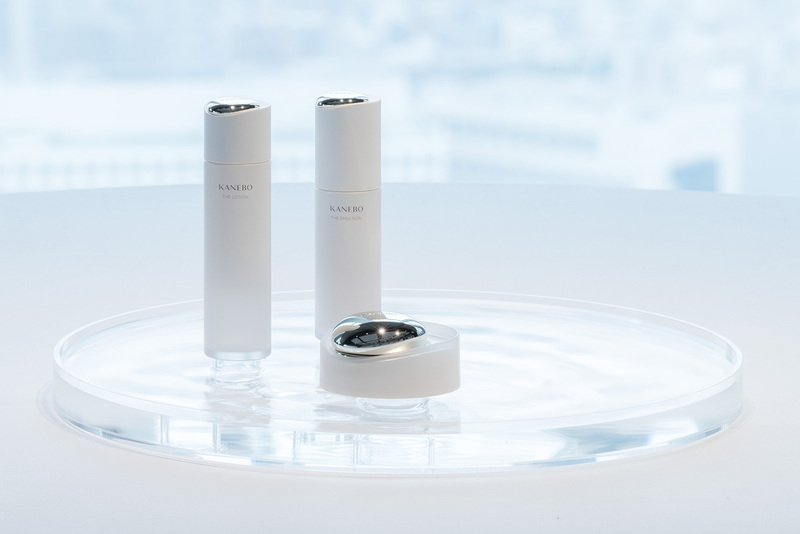 The space at Andaz Hotel, Tokyo has been filled by 3 meter long acrylic tubes, emphasizing the concept of skin transparency and clarity, influenced by Kanebo's new cosmetic products. 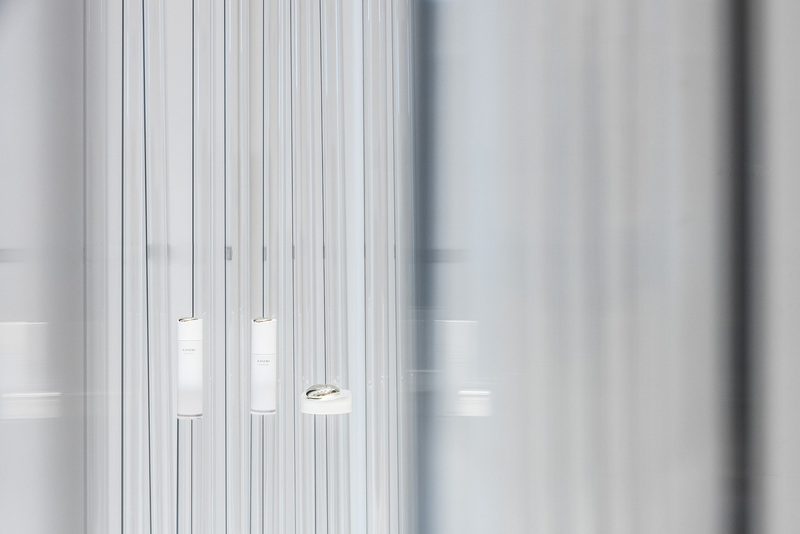 Like a cleansed skin, transparent and refined, pure space surrounded by layers of acrylic tubes, implies the feeling of many layers, transparent, creating beautiful luminosity and facets when people pass behind them. 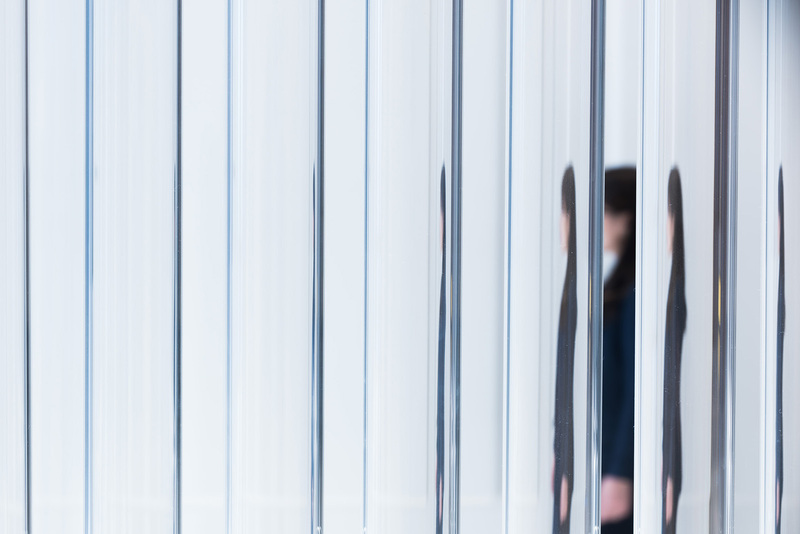 The product on display floats within transparent tubes on eye level, creating eye-catching displays between the layers of fragile tubes, for the visitors to encounter. 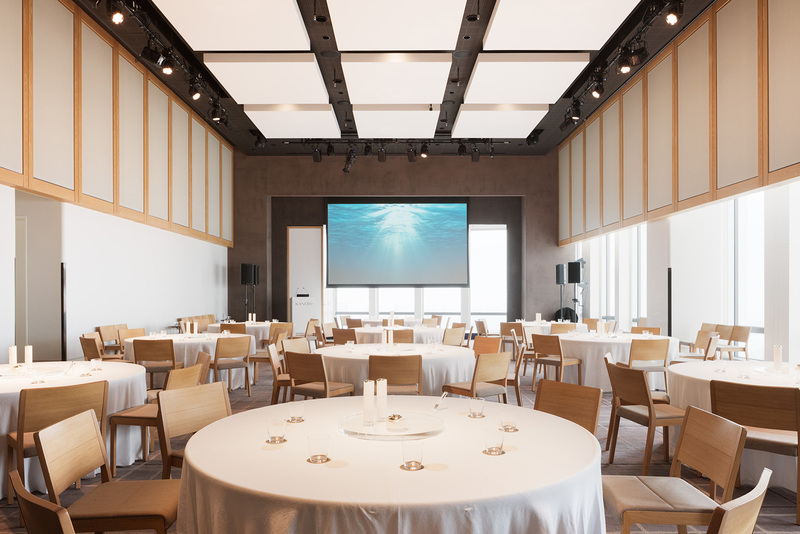 The customers are invited in the event room at Andaz, where they are sat around white, pure tables and encouraged to try the cosmetic products. 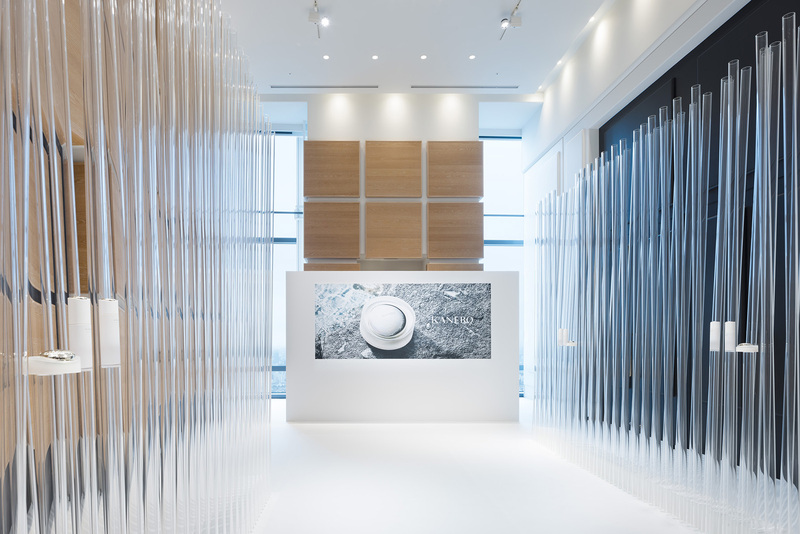 'Served' in water-filled acrylic trays, the products look like floating in the water. 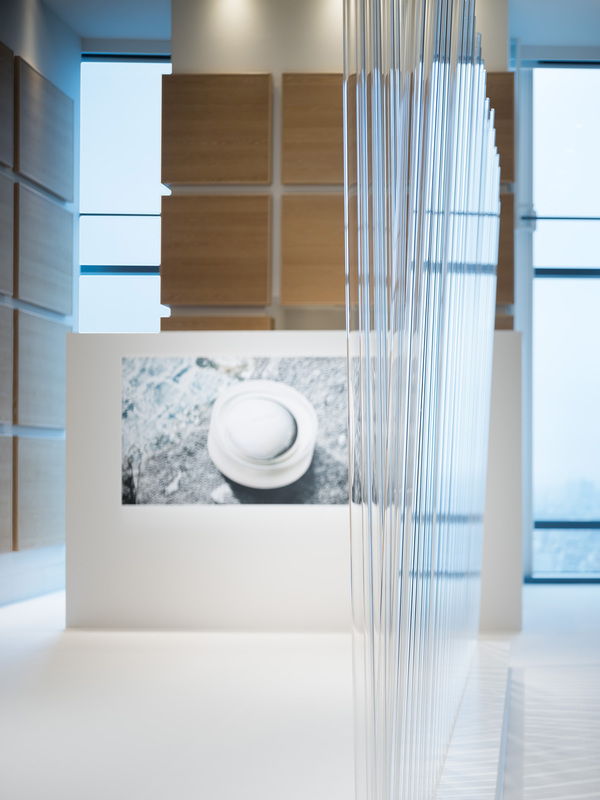 This presentation tool reflects the same lightness and transparency as the entrance display, creating a place of harmony and purity. 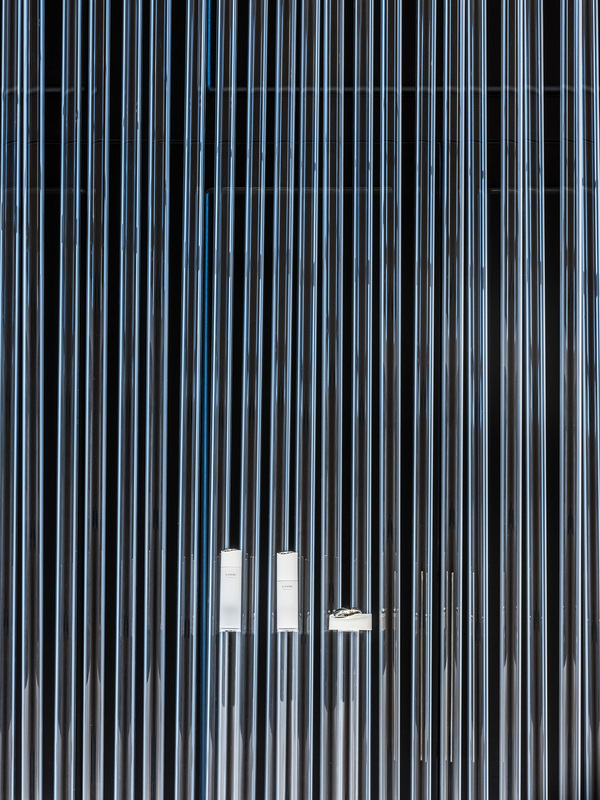 Copyrights I IN, All rights reserved.